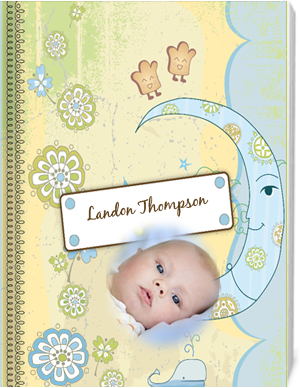 Preserve those cherished childhood moments with a custom baby boy photo book. Photo books are a great way to show family and friends those digital pictures that would otherwise be hidden on your computer. Publish for free online and share with family and friends or share with the with the whole Photogalley community and show the whole community how cute your little one is by opening the book for public view. If you want to keep your book private you can do that as well. Designing your book is as easy as 1-2-3 when using Photogally by uploading photos choosing a template and auto-flowing the template. Choose from many attractive layout templates to go along with your baby boy’s theme new templates are being designed all the time by our staff of designers. If you are the creative type you can create your own theme from scratch the choice is yours. With all the photo book printing options Photogalley has available it’s easy to create that special book. And don’t forget our other photo printing options like calendars, posters, cards and more. Create an account upload your photos and start creating photobooks today!